Jesus often used parables to teach lessons. Well here are three modern-day parables concerning the lives and deaths of Wanda Dunn, Eddie Maintenance and Jack Shephard. Each parable reinforces the lesson of Easter: That the gift of God is eternal life in Christ Jesus our Lord. Wanda was a lonely old woman who dared not set foot outside of her one-room basement apartment for fear that death awaited her one the other side of her front door. One day there was a scuffle outside Wanda’s apartment during which a policeman was shot. When she peered through her window, Wanda saw the policeman lying on the ground. He cried out to her for help, but she feared that “Mr. Death” was trying to trick his way into her apartment. Nevertheless, Wanda’s loving-kindness overcame her fear and she helped the policeman into her living space. 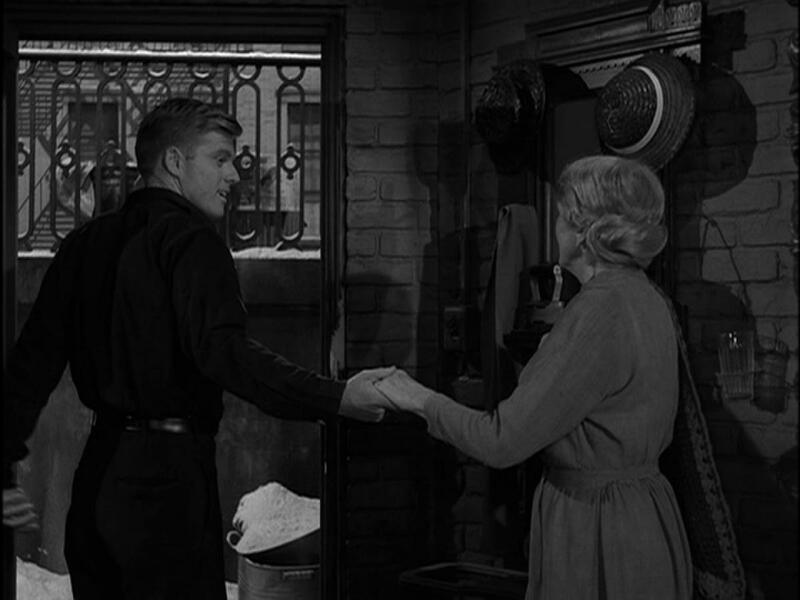 While explaining to the genial young man her fear of death, there was a knock at Wanda’s door. The voice of the other side demanded entry and when Wanda refused, her door was shoved open. Wanda fainted from terror, certain it was Mr. Death. In fact, it was a demolition man, who thought the condemned apartment building had long been vacated, and who informed Wanda that her building was to be torn down in an hour. Yet, he was not terrifying at all. And he assured her that she needn’t fear the passage from the life she was desperate to hold onto to the glorious afterlife that awaited her. And, with that, they left the apartment. Eddie was a melancholy, partially-disabled World War II veteran who worked at an amusement park, and who felt that his life had amounted to next to nothing. On the last day of his life, Eddie saved a little girl who would have been killed by a malfunctioning amusement park ride that plummeted to the ground. After arriving in the hereafter, Eddie learns he will meet five people who will help him transition to his life after death. The first person Eddie meets is the “Blue Man” who worked at the amusement park when Eddie was but a boy, and who died when Eddie and his brother errantly threw a baseball into the middle of the street, causing the Blue Man to swerve out of the way and suffer a fatal heart attack. The fourth person Eddie met was his beloved wife Marguerite, whom he married before going to war, who suffered through his post-war convalescence from ais gun-shot wound and who died of a brain tumor at 57 years old, leaving Eddie widowed 26 years until his own death. Eddie lamented that he didn’t make more of himself, that he didn’t provide his wife a better life. But Marguerite assured her husband she loved their life together, save for the fact that they couldn’t have a child. And she also assured him the powerful love she had for him in life remained in the afterlife. Finally, Eddie met Tala, a little Filipina girl he didn’t remember, but who somehow seemed familiar. It turned out Eddie caught a glimpse of her in a hut he set afire during the war and she burned to death. Eddie had raced toward the burning hut to rescue the little girl when he was felled by the bullet that would leave him partially disabled the rest of his life. So Tala died. “You burn me,” she told Eddie. Eddie cried out to God, “Why?” He pleaded for forgiveness. Tala assured Eddie he was forgiven. And she comforted him that his life was not for nothing; that God’s purpose for him was to protect the children who passed through the amusement park to which he devoted much of his life. And, with that, Eddie Maintenance suddenly was surrounded by the hundreds of children, and their children’s children, who owed their lives to his purpose-driven work. Jack was a brooding spinal surgeon whose obsessive personality ruined his marriage and created a rift between him and his neurosurgeon father. He was in route from Sydney, Australia to Los Angeles with a casket bearing the remains of his deceased father when the plane on which he was traveling crash-landed on an unknown island. Jack eventually became the accepted leader of the crash survivors. Over the course of years, Jack and his fellow survivors found that the island was otherworldy; existing, it seemed, outside of normal time and space, a battleground between good and evil, light and darkness. So it was that Jack found himself face-to-face with the island’s malevolent “Man in Black,” who fatally stabbed Jack before being killed himself. Meanwhile, the island started to implode and, though weakened, Jack summoned his remaining strength to restore the light at the heart of the island. Having succeeded, Jack laid himself down and closed his eyes. Upon opening his eyes, Jack found himself outside a church, joined by a fellow survivor who told him everyone was waiting for him inside. Once he entered, Jack saw a casket which he approached. Perhaps he and the other survivors had been rescued and they had gathered for the funeral of Jack’s father. But the casket was empty and Jack realized that he was dead, like his fellow survivors sitting in the church pews. Just then Jack felt a hand on his shoulder. It was his dad who was there to reconcile with his son for eternity and to explain that Jack that he was in a place made so that he and his fellow survivors could “let go” of their lives and “move on” with their afterlives. And that Jack was the last to do so. The stories of Wanda, Eddie and Jack are no doubt familiar to astute television viewers. What the fictional death and life stories of Wanda, Eddie and Jack have in common is their decidedly Christian overtone. Theirs are modern day parables that comport with the Word of God. 16 Apr	This entry was published on April 16, 2017 at 3:00 AM. It’s filed under Holidays and tagged AFTERLIFE, ‘FIVE PEOPLE YOU MEET IN HEAVEN’, ‘LOST’, EASTER, EDDIE MAINTENANCE, JACK SHEPHARD, TWILIGHT ZONE, WANDA DUNN. Bookmark the permalink. Follow any comments here with the RSS feed for this post.